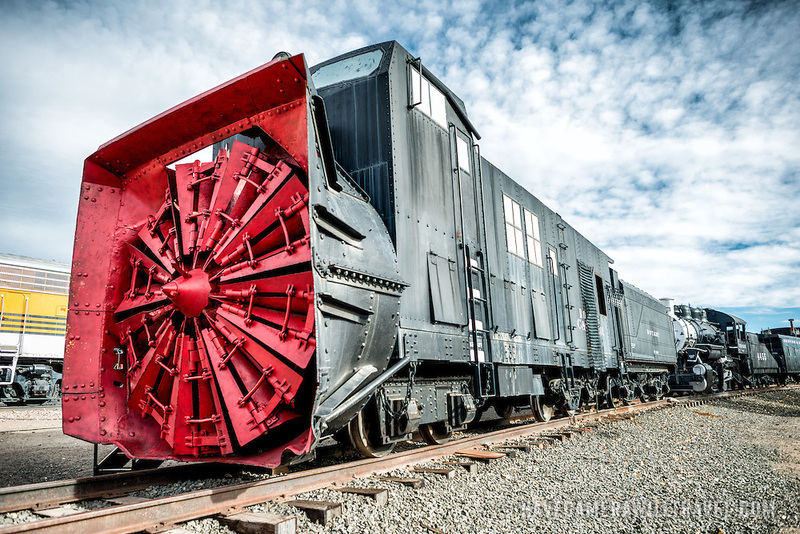 A rotary snow plow on display at the Colorado Railroad Museum in Golden, Colorado. These machines had a steam boiler and cylinders to turn the blades in front and a tender on the rear to carry the coal and water needed to fuel the boiler. The rotary plow was not self-propelled by required locomotives to push it. The big blades on the front chopped at snow and the chute directed to either side away from the tracks.